This is a collection of short stories and a novella featuring residents of a housing complex in Oklahoma. The characters’ stories interweave with each other and we learn a little more about a particular character, “Crazy” Jade, from each. Each of the short stories shows what happens when you will do anything to get what you want – and that there are consequences for using magical shortcuts. The novella introduces us to an alternate world and the difficulties of responsibility and not belonging. Since there are multiple storylines, it’s hard to score all of them fairly, but the stronger couple is in the novella. They have to balance different cultural and social expectations and responsibilities with their affection for one another. The other couples don’t have as many feelings to deal with when trying out a relationship. This score was a pretty difficult decision for me – again because of the multiple stories there are some where I want to say absolutely NO and then others where I was excited to see the women standing up for each other. One story in particular deals with the social pressure to look a certain way and another shows how calling one woman an insult can represent the wider world’s views about women in general. 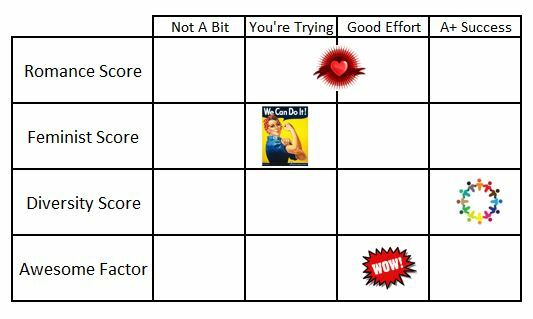 I’m giving a higher score because, even when showing things I wouldn’t want to give points for, those problematic items are called out. Plus, women are the ruling queens in the storyline woven through each piece, so there’s that. The stories take place in an apartment complex with mostly black and Latino/Hispanic residents – in itself is not usually represented in mainstream books. Add on that several of the families are living at or below the poverty line and you get something that is rarely seen. I really liked the world Burris built here; it’s definitely filling a hole that exists in publishing. However, there are a couple of issues. One is that the woman behind all the lessons is called “Crazy Jade” by almost everyone. This is problematic because “crazy” has a long history of being used against women, especially black women, and people with mental health issues. And, people also keep talking about her “voodoo” but nothing that I read seemed related to the actual religion so it was perpetuating stereotypes about voodoo. I will say that one character does try to call out his friend for calling it voodoo, so there is a suggestion that it’s not ok, but it’s never fully deconstructed. 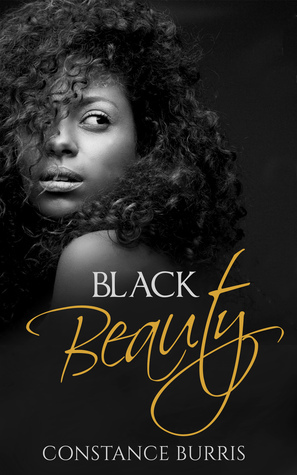 The stories also explore colorism, sexism, body image, and “good” vs “bad” hair in the black community. I can’t really speak to the portrayal of hair or colorism issues except but I know they’re important so I’m glad to see them here. Overall, I think the characters and setting are much needed. I didn’t connect with some of the characters as much as I would have liked (probably because these are short stories), but I still really liked getting to know the world and the people in it. I was intrigued by the novella and want to know what happens after it. Jade is an engaging character and I would love to know more about her backstory. Overall, the community and stories had just the right amount of “WAIT – what just happened?” to keep me involved while also showing the daily struggles of dealing with life. Sean – at first I liked him the most because he seemed the most level-headed, but as more of his story came out, he became an even richer character and I felt for him and his dad. Andre’s conversation with his sisters after he visits Jade was on point. You’ll have to read it yourself, though. Constance Burris is an environmental engineer, which just goes to show that science and art can mix! The answer is going to totally depend on your reading preferences. This is a collection of paranormal stories with a bit of fantasy added into the novella. If you like that kind of thing and want to meet some great characters, go for it! 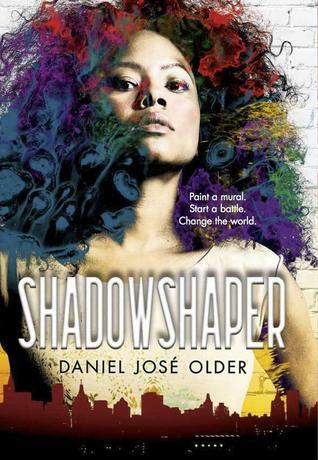 Shadowshaper by Daniel Jose Older for another paranormal story in the city featuring underrepresented characters or Lament or Shiver by Maggie Stiefvater for the fae in our world. Jess received this book for free through NetGalley, but that didn’t affect her opinions! Sita does not like her future. Her mother died at childbirth, leaving her with a baby sister, a cruel grandmother, and a loving but poor father. Sita is bound by the rules of purdah, and cannot travel outside of her home without a male to accompany her. She has to wait for her father to find her a husband, but with almost no dowry money and a lot of ambition, she’s not sure that she wants this for herself. Her only chance to get out is to join the durga dal, a group of elite women who help protect the queen of Jhasni (Tamora Pierce fans, think Thayat’s Riders). Sita knows that no girl from her village has ever been a durga dal but she’ll do everything she can to make her own life for herself. But even if she becomes a durga dal, her life will be even more challenging. Her Queen, the famous Lakshmi, is the second wife of a weak king of a small princedom. She is effectively ruling for him, and trying to manage the ever-growing power and requests of the British East India Company while remaining publicly demure to her husband. Can Sita be the protector of such a complex and powerful woman? I wasn’t completely hooked by the romance in this story. Sita and her suitors romance is not particularly compelling to me. Given all of the details around the treatment of women in this story, I had a hard time believing a romance could exist for a female fighter. Sita is a female fighter in a male-dominated society, which automatically gives her some brownie points. In many ways, though, she was still very much powerless. Even with all her training and skills, she is still beholden to her grandmother’s rules, and still allows her sister to remain in the village and under the rules of purdah. I think I expected more fight out of Sita, and was disappointed when I did not see it. I loved that this book tackled a story that is relatively unknown to the Western world, and enjoyed a picture of historical Indian life from a unique female perspective. While this story had a lot of potential and great reviews, I have to admit, it wasn’t my favorite. I don’t think I really connected with Sita, and I was frustrated by her lack of action. As one of the few women with power in her society, she did shockingly little to help the one person she loved the most, her sister. And while I enjoyed learning about her back story, I would have preferred to have the story narrated by Queen Lakshmi. Queen Lakshmi. She has to balance both the traditional duties as a queen (serving her husband and producing heirs) and the challenges of ruling. I would love a story from her point of view. The War stole so many people from us, and still it’s not over. Sometimes, when Raashi is taking me on the train, I’ll catch a glimpse of a young man struggling against the guards who are trying to remove him from the first-class cabin, where only British are allowed to sit, and that’s how I know the war isn’t finished”. I love timeless lines, and this rings true today. In how many ways are our own race wars not yet finished? Maybe. It wasn’t my favorite Michelle Moran book (I’m partial to Cleopatra’s Daughter), but it was an interesting perspective on a relatively unknown story. Michelle Moran and her husband had an Indian wedding (in India). Pictures of her beautiful wedding, including her awesome henna, can be found on her website. Nikki and Maya are twin sisters that have always done things together. But, as they enter their senior year of high school, things start to change – within their community, their school, and their friendships. 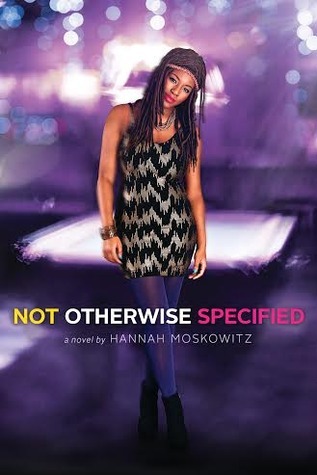 The book takes us through Maya’s experiences of the gentrification of her hometown, making friends with the new boy next door, and college application stress. It’s a high school story with romance and difficult friendships and identity confusion. But, it is SO MUCH MORE. We pulled dictionary definitions for microaggression and racism, neither of us are scholars and we know our explanation lacks nuance (and, possibly, accuracy). We’re digging deeper to make sure we represent these issues accurately in the future. Also, chapters 28, 60, and 78 in their entireties. Amazing. Renee Watson has published children’s, middle grade, and YA books! In the second grade, she wrote a 21 page book for school and then she knew where her life would lead. The Secret Sky by Atia Abawi for another teenage relationship with serious political themes or How It Went Down by Kekla Magoon about the fall out from a neighborhood shooting (and which Anisha will be reviewing soon). ABSOLUTELY. 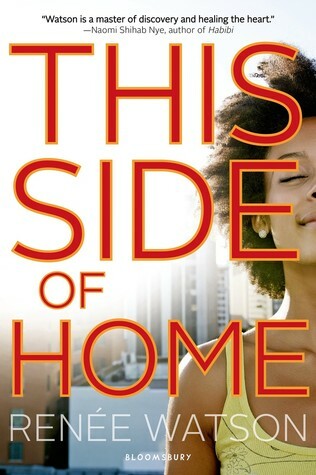 We both fell in love with this book because it’s an honest portrayal of the identity crisis of high school and the looming stress of college applications while seamlessly including a story of gentrification, racial tension, and stereotypes. We plan to recommend this to a lot of people – as a perfect example of beautiful writing and fantastic YA literature. 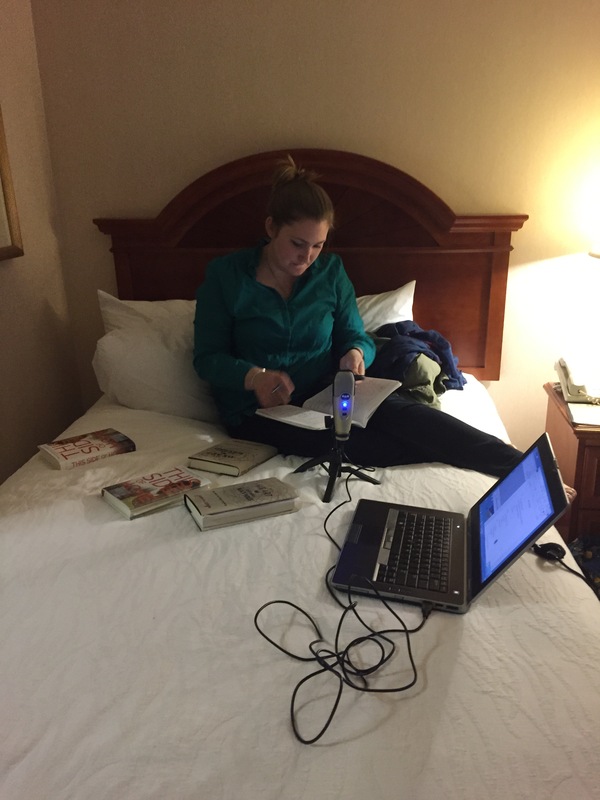 Additionally, there are lots of things in this book we just didn’t get to – allies, representations of marriage, the role of community among the underprivileged, Essence’s life experience – and that makes this book even better because there is SO MUCH to unpack. books. These are important overarching reasons to read diverse literature, and we believe in all of them. But, like most readers, we also have our personal reasons. As avid readers, we both lived in a world of books before we ever knew or cared about the larger implications of what we read. Even after we started The Bookmark, our views have been adjusting. We started by reviewing mainstream literature, and quickly realized that our passions are more closely linked to supporting diverse literature. Why? Check out our reasons below. Being American does not mean being white. When I was in middle school and high school, I didn’t have the vocabulary to explain my family and background. I could say “I’m Indian” – but that didn’t really cover it. I didn’t feel Indian – I was born in the US, spoke only English, and had only visited India twice (less than some of my friends had been on vacation to Europe). I had a very “Western” childhood, with sleepovers, make-up, and dating. 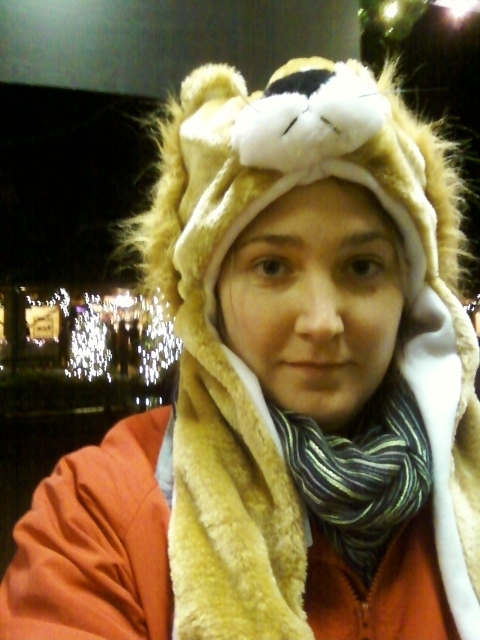 But I didn’t feel like my experience was normal, and the only way I could explain it was to say “I’m basically white”. I didn’t think the American experience was anything but the white one. I was having a white childhood, in an Indian girl’s body. You can chalk that up to immaturity, but I think it’s more systemic than that. None of the movies or books I read represented my experience. Mainstream literature tell us that “normal” girls are white, rich, and thin (even when they think they’re fat). And while I wasn’t actively seeking out diverse literature or movies, I should not have had to. 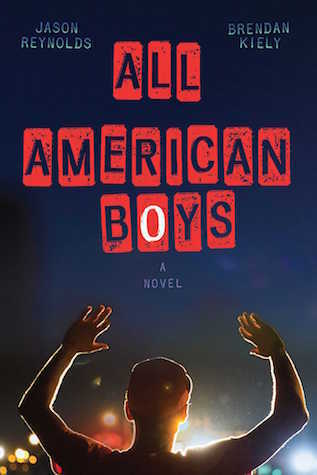 Mainstream books should reflect the experiences of all of their readers, and show us that being “American” can mean a lot of different experiences. Born Confused by Tanuja Desai Hidier was the first diverse book I read. The book is fantastic – well crafted, great story plot, and with an Indian-American girl trying to find her identity in high school. In many ways, it was perfect. Except – and this took me a long time to admit – it wasn’t my Indian-American story. And as the only Indian-American book I could find at the time, I felt it was the only story I was “allowed” to relate to, and the fact that I could not made me realize that only having one story for thousands of Desi girls was wrong.. Just as Sarah Dessen can’t write for every white girl, Tanuja Desai Hidier can’t write for every Indian-American girl. I, and every Indian girl, should have hundreds of narrators of Indian origin to choose from. And then I can find my own story from these girls. Note: Jessica Pryde wrote an excellent piece about this topic at Book Riot. I highly encourage you to check it out. Books are a way to dip into the lives of other people, experience a life different from my own, and internalize a little piece of what it would be like to be someone else. Sometimes that means I’m a dragon-flying space colonist jumping through time, other times it means I’m a princess trying to fight a strategic political marriage. A few weeks ago, it meant that I was a high school student working through the gentrification and racial shift in the neighborhood I grew up in. Diverse books are important to me because they provide more chances to expand the types of experiences I’m able to have within my one, single life. When we read books, we become the characters and that makes it just a tiny bit easier to understand what kind of experiences, thoughts, and dreams the people around us have. Diverse books are an integral part to expanding the kinds of people readers are able to become. Our stories reflect our individual truths. But, diverse books should not exist to help the majority population “feel what it’s like to be someone different.” Since I grew up as a white kid in the US I could usually find someone that looked like me in books. True, she might end up the girl that needs saving most of the time, but at least most of the stories and characters were easy for me to relate to. Those girls still looked and felt like me. I care about supporting diverse books because I think everyone should have the same chance I did and do. Every reader should have the same joy of finding a story that speaks to their soul and that features characters and stories that look like them and lead lives like theirs. Often diverse books are called “window books” because they let the majority (white, cis, hetero, able, nominally Christian) population peek into what those “other” lives are like. But, I think that’s wrong. These books aren’t and shouldn’t be (only) about that. They are about individual truths; there are millions of different people and stories and each and every one stands on its own terms. What are YOUR reasons for supporting diverse books? Are you part of the “norm”? What has mainstream literature gotten wrong about you? Leave a comment or tweet at us @Bookmark_Place. It’s finally time to integrate the all-white Jefferson High School in Virginia. Sarah is one of the first 10 black students to enroll. We experience the process of integration through her eyes, feeling the screaming insults, the racist chants, and the awful physical assaults that she, her younger sister, and other students endure. The daughter of a very vocal anti-integrationist, Linda, just happens to be in Sarah’s classes and they end up grouped on a school project. As their work progresses, their understanding of each other grows and feelings both girls never expected begin to bubble to the surface. We get a story of inner strength, personal belief, and inordinate courage in the face of racism, family, and abuse. The electricity in this book is fitting for the type of relationships that develop – curiosity, confusion, and shame serve to make things realistic and to keep the heat from erupting. Even so, the few kisses and moments of openness are crucial and I wanted to cheer both girls when they let themselves feel. There are a lot of moments to cheer for these girls and for the steel backbones they find when dealing with some seriously wrong behavior. I appreciate the different pictures of strength and choice the women in the book exhibit. They may be in high school, but both Sarah and Linda have already started chartering their own paths through life regardless of what family and society says and that is what feminism is all about. I didn’t like the comments about “that kind of girl,” but they totally fit the time period of the story. The book is about integrating a high school in the South. That’s already pretty intense. There are also some social/economic class comments, but the main focus is on race. I appreciate that a lot of the comments and Sarah’s arguments with Linda are still (unfortunately) relevant for today. Some people may find the hater-oppressed falling in love a bit cliché, but the storytelling makes up for any staleness. And, oh yea, there’s the little fact that a white girl and a black girl find themselves dealing with strong, confusing emotions about one another. EDIT: This review is from a white perspective. 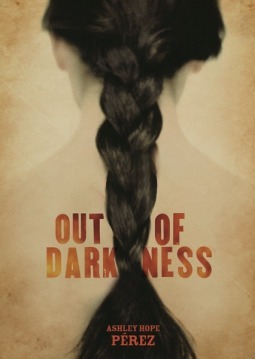 Some Black readers in the community have stated that this book is clearly written with white readers in mind and that a lot of what happens to Sarah is harmful and hurtful to Black readers (obviously it is also hurtful to Sarah, but there’s a way to show history in a way that is compassionate toward current readers). So, as we always try to be better as readers/bloggers, I wanted to point this out. This book is amazing. It may be about a time 50 years gone, but it is still SO RELEVANT. Sarah and Linda bring a human touch to two very tough positions – one fighting for her humanity against blind hate and the other struggling to reconcile the ideas she grew up with and the truth in front of her. While it could have been bogged down in the politics and history, instead we got a seriously emotional, deep story about two very different girls finding their way along a confusing path. Sarah’s strength, brilliance, and beauty and Linda’s willingness to reevaluate her opinions and life choices are something we all should aspire to. I love both main characters, but I think Ruth, Sarah’s little sister, takes the cake. She’s outspoken, determined, and courageous. Plus, while dealing with the stress of integration, she also has a hovering older sister that just will not back off and she deals with it all in the most teenagerly perfect way. Absolutely. I read this in one day because it pulled me in and didn’t let go until Ruth gave me the final word. The story is compelling and the characters are honest and well crafted. Robin Talley was at the NOVA Teen Book Festival and she talked about the importance of true-to-character book covers. 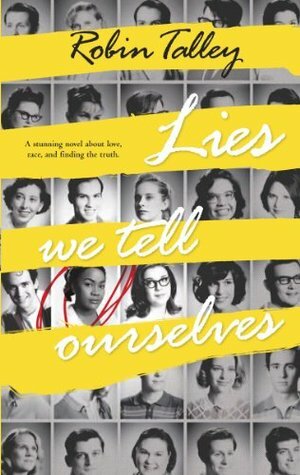 It was important to her that Lies We Tell Ourselves wasn’t white-washed – and she got inspiration for the cover from real archived year books!